Description: Salyer Hearing Center PLLC is a business categorized under health related facilities, which is part of the larger category specialty outpatient facilities nec. 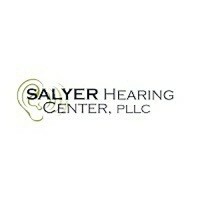 Salyer Hearing Center PLLC is located at the address 40 Mitchell Rd in Sylva, North Carolina 28779. The Owner is Mistie Collins who can be contacted at (828)586-7474.
Review: For more than 30 years, Salyer Hearing Center has established the regional gold standard for hearing evaluations, fittings and service. Our audiologists utilize state of the art technology in assessing and treating hearing loss. Location & access map for "Salyer Hearing Center PLLC"